For riders who want deep snow maneuverability and on-trail confidence - plus the reliable performance, easy starting, instant acceleration, and great response of the 600 Cleanfire engine. RYDEFX® MPV SHOCKS: RydeFX® MPV Shocks provide a great foundation for ride and handling. LIGHTWEIGHT: The RMK® 144 is lightweight yet strong. 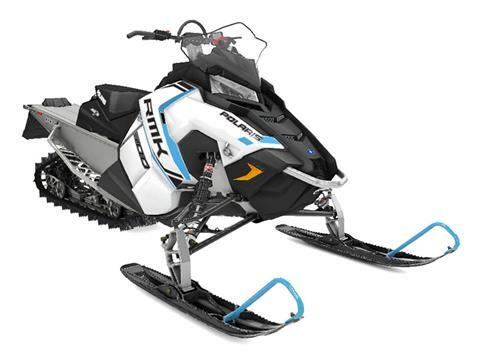 It allows you to get up on top of deep snow faster and offers quicker acceleration. AXYS® CHASSIS: The AXYS® Chassis for the 144 platform is light and strong - critical for the 50/50 rider. The rider is moved into a balanced position on the sled so it rides flat through the corners. When the rider jumps off into the powder, Ride Balance® enables the rider to move back and make the front end light to climb up on top of the snow or the moguls. 15 X 144 X 2.0" SERIES 4 TRACK: Stiff lug base for hard-pack performance plus soft and flexible tips for superior deep snow traction. 600 CLEANFIRE® ENGINE: The liquid-cooled Cleanfire® engine delivers outstanding throttle response and instant acceleration. It starts easily and reliably and calibrates automatically as the temperature and elevation change. IGX 144 REAR SUSPENSION: A core element of the AXYS® RMK® 144 platform is the IGX 144 uncouple rear suspension, which offers the ultimate blend of durability and strength. It provides RMK-inspired off-trail agility and balance with a drastically improved on-trail ride. 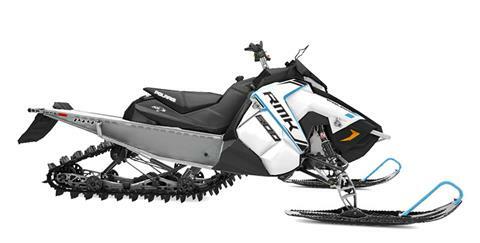 Pitch is controlled through geometry and an optimized, lighter, tipped rail beam design gives the sled a nimble feel. POWDERTRAC™ HYBRID RUNNING BOARDS: The PowderTrac™ Hybrid Running Boards offer optimized design with 56% open space for maximum snow clean out while maintaining extreme strength. The front is wide and flat for foot comfort and stability while the rear has a tapered, dual-angle design for mobility and snow clearance.